Calibration is the high-level, controlled and documented process of obtaining measurements on traceable calibration standards over the full operating range of the gage, then making the necessary gage adjustments (as required) to correct any out-of-tolerance conditions. Calibration is performed by the equipment manufacturer, their authorized agent, or by an accredited calibration laboratory in a controlled environment using a documented process. The outcome of the calibration process is to restore/realign the gage to meet/exceed the manufacturer’s stated accuracy. 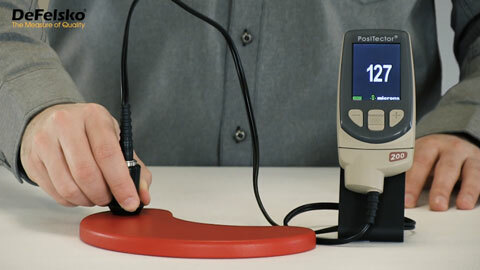 User specific calibration intervals should be established based upon experience, frequency of use, handling practices and measuring environment. The following are the current Calibration Procedures used to certify DeFelsko gages.